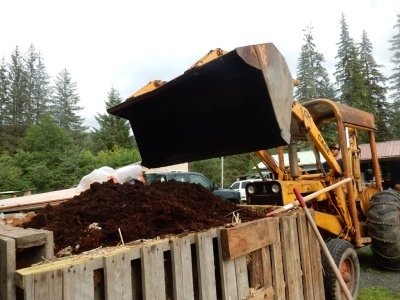 We are a compost processing service, giving Juneau residences, businesses, offices, organizations, and events the option to manage their waste responsibly. We work with people of all kinds to assess their current waste stream and provide a plan for a successful compost diversion program. We operate a modest facility on several acres of private property out at 25 Mile. We use a combination of handtools and a front end loader to process materials in a combination of covered bins, bays, and windrows. 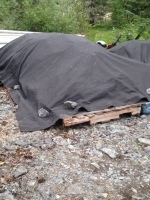 The site is not open to the public.